Customers of KLM were already able to use Facebook or Twitter to book or rebook a flight, make a seat reservation, arrange extra baggage, or arrange for extra services to be provided. They can also now pay for their tickets through these channels. Until now all payment for bookings made through social media channels has taken place over the telephone. However, according to KLM, its ustomers have regularly indicated that they would like to pay online through social media channels and the airline has now achieved this capability. 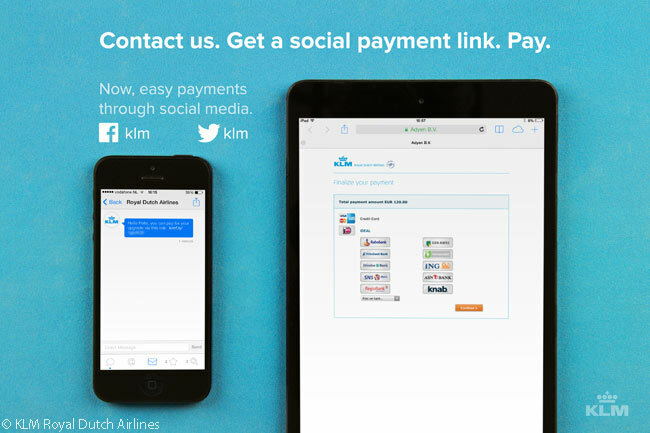 Using KLM’s new payment method, contact with the customer takes place exclusively through the social media channel he or she has used. 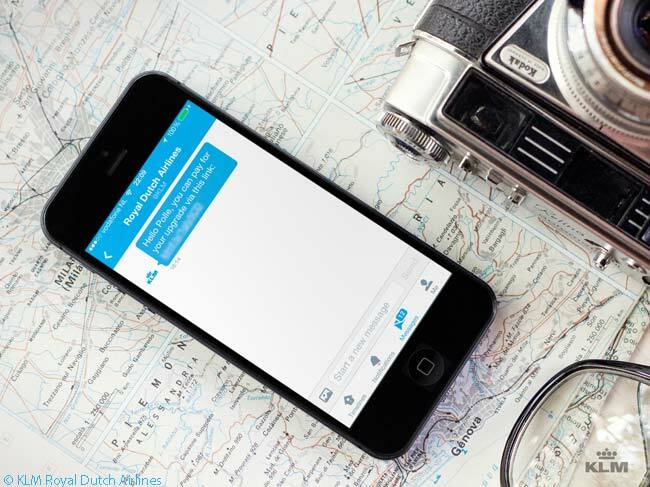 KLM sends a link to the customer in a private message on Facebook or Twitter. The customer can then select his or her preferred method of payment and complete the transaction. The social media service agent at KLM then receives a message to say that payment has been received and the customer in turn receives confirmation of the payment. The 130 social media agents at KLM answer around 35,000 queries on Facebook and Twitter every week. Last week KLM recorded its five-millionth Facebook follower, a number which the Dutch carrier says make it the airline with the highest number of Facebook-page followers in the world. KLM Royal Dutch Airlines was founded in 1919, making it the world’s oldest airline still operating under its original name. In 2004, Air France and KLM merged to form Air France KLM. The merger produced one of Europe’s top three airline groups. Air France KLM is a founder member of the SkyTeam Alliance and has an antitrust-immunized joint venture in place with fellow SkyTeam founder member Delta Air Lines for operating the three carriers’ transatlantic routes. Post-merger Air France KLM is based at two major European hubs – Amsterdam Airport Schiphol and Paris Charles de Gaulle. The group focuses on three core businesses: passenger transport, cargo and aircraft maintenance. In the Netherlands, KLM comprises the core of the KLM Group, which also includes regional-airline subsidiary KLM Cityhopper, low-cost carrier Transavia.com and cargo carrier Martinair.